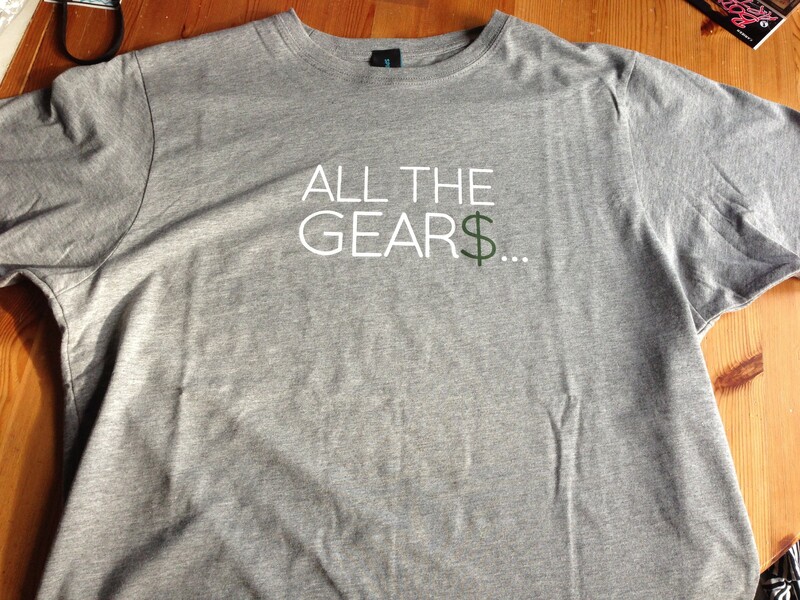 I was contacted the other day by the nice people at Spin Cycle T-Shirts (www.spincycletshirts.com) as they have a t-shirt design that I might be interested in – it says All the Gear$ on it! 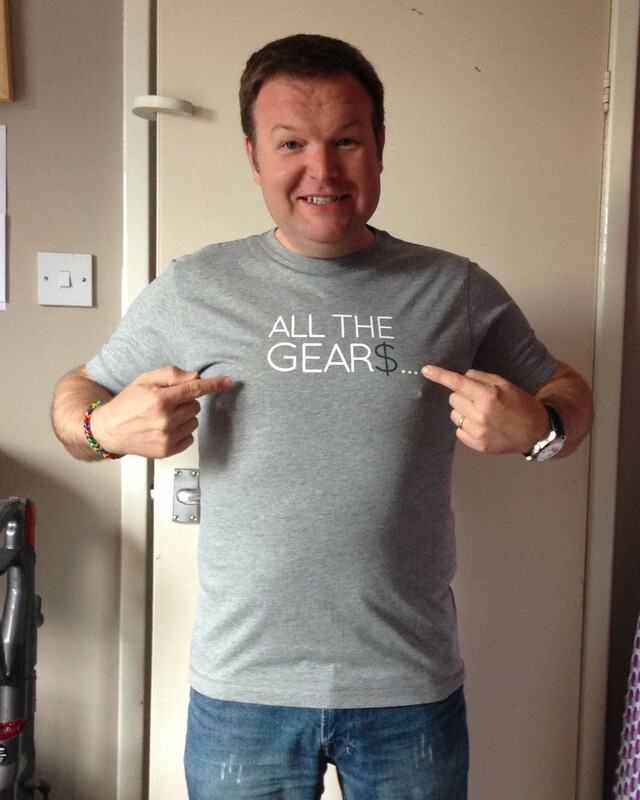 Now it wasn’t aimed at people who have all the gear and no idea, it actually says all the gears, and is in reference to the days of ‘How many gears have you got?’ For me though it is perfect! I was like a small boy at Christmas waiting for the package to arrive, it’s always nice to get something through the post, especially when you didn’t order it yourself. The first thing I noticed when I opened the packaging was how good the quality of the t-shirt was. Very soft! I don’t go in for premium products much, preferring practicality at a cheap price over affordable quality (which this is at £20) so I was very pleased. Along with the chosen design on the front, the right sleeve has the company branding, just a small logo which looks great. The only thing I would suggest if buying one is that although the website says the products are a classic fit, I found mine a but more of a slim fit – one thing I am not is slim! So if you are thinking about making a purchase and you are between sizes, go for the larger version, I went for a medium and in hindsight should have gone large. Just gives me a but more motivation to loose a few more pounds I guess. Not that I look that bad in it as the picture below shows, but I am sucking it in a bit!! Thanks again to the nice people at Spin Cycle T-Shirts, it took me a while to ‘get’ the significance of the name (probably because the wife does the washing in our house ;-/) very clever!